ICIS, the leading provider of pricing and market intelligence for the global energy, chemicals and fertilizer sectors, has enhanced its European natural gas market coverage with the introduction of new price assessments for the Ukrainian natural gas market. The addition of two price assessments – one for Ukraine’s domestic virtual trading point (UAVTP) and the other based on the price of supply at Ukraine’s border from neighbouring EU countries – in the European Spot Gas Market (ESGM) daily report, will provide additional transparency to a market that has the potential to develop into an important trading area. The UAVTP and Ukraine border price assessments will initially cover the month-ahead contract, which will be published on a daily basis. 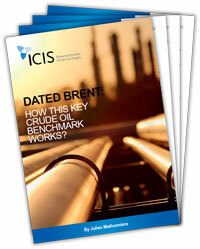 This will complement ICIS’ pricing of other European gas hubs, enabling participants to manage risk with confidence. As Ukraine is now at an important crossroad, holding the first round of presidential elections on 31 March, ICIS has produced an insight paper which reviews the progress made in energy market reforms over the past five years, and assesses the potential challenges ahead. To view a free copy of the market insight, ‘‘Ukraine 2019 Elections: What Next for Market Reforms” click here. Ukraine has taken steps to reform its natural gas sector. But with a long electoral cycle opening up at the end of March and facing the prospect of losing its historical role as Europe’s main transit corridor for Russian gas from 2020, can Ukraine sustain and speed up reform?